Hope you all had a great summer. I wanted to let you know about something I'm pretty excited for. 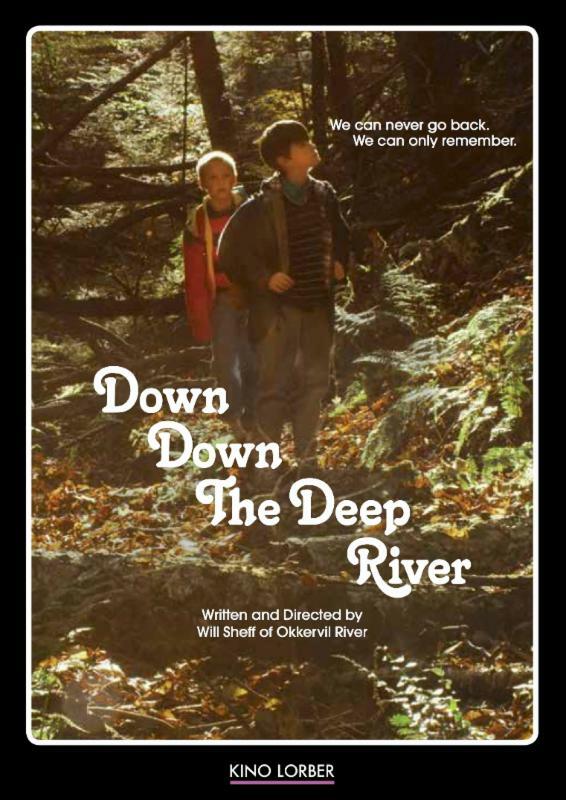 Some of you might remember the film I was directing and scoring based on our song "Down Down the Deep River." Well, I wanted to let you know that it's out today via the great distributor Kino Lorber. Kino distributes most of my favorite films of all time - everything from Metropolis to the films of Andrei Tarkovsky, from Robert Altman to Jean-Luc Godard - all the stuff that got me obsessed with movies, so I couldn't be more excited they're now home to my film. It's available digitally on iTunes and Amazon Instant Video and it's on a DVD that includes a documentary on the production of the film, deleted scenes, and an anthology of all of the Okkervil River music videos to date, including a new exclusive video I made for "Comes Indiana Through the Smoke." We're also doing a special-order bundle from the Okkervil River online store where you can purchase a very limited run of vintage-style trading cards for the film that I made, a "Read Along Book" with pictures and audio and the film's story told in fiction form and performed by voice actors, and downloads of the film's Original Motion Picture Soundtrack. "Down Down the Deep River" was shot in my hometown in 2014 - here's a trailer and a great piece from the New York Times about the film.